This is it. The whole team. Proud to be a small business creating quality products we love. 1. Your product has a story: the natural character of the leather, the cut of material, the dye on the leather, the hand-finished edge are all unique to each product, and there is no other product that will ever share that story. 2. When we think of products we wish we had, we make them. 3. When you think of products you wish we had, we listen. 4. Our founder, Geoffrey Franklin, hand selects every cut of leather we use. 5. 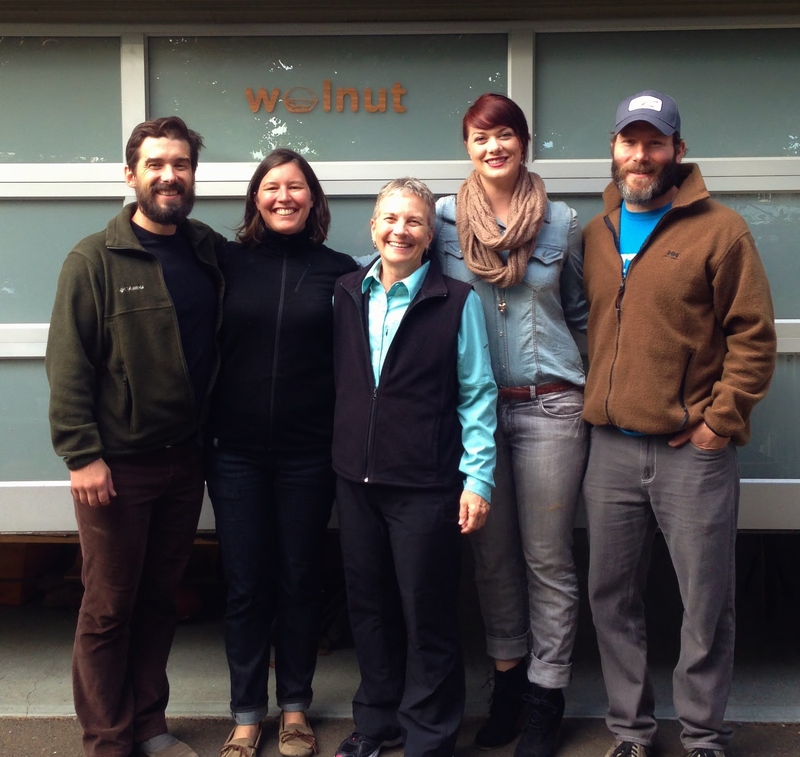 If your bike with your Walnut Studiolo product is stolen, we can help you. 6. Our Pinterest boards weren’t made for SEO feedback; it’s the stuff we actually love. 8. Our leather comes from a small batch, American supplier, who believes in quality and sustainability. 9. Every product is made entirely by Geoff or Matt, from raw material to finished product. 10. Our shipping associate, Chris, handwrites the thank you note placed in every order. 11. We make custom products that change lives. 12. Got questions? Real people who love bikes and design as much as you do answer your emails. 13. We work with other small businesses to create beautiful collaborations. 14. Small businesses can be flexible; our employees can pursue their passions in and outside of work. 15. We have grown our business sustainably. Employees are brought on when we can provide empowering opportunities with fair wages. 16. Have an issue with your order? With everything in-house and real human customer service, we can solve it quickly and efficiently. 17. We are woven into our community fabric; leather scraps go to the local art store for reuse, we source our materials and services locally, and we re-use donated and upcycled packing and shipping materials from friends, neighbors, and re-use centers. 18. We get to listen to whatever we want in the workplace. Geoff and Matt usually listen to audiobooks while they work. 19. We get to fill our house with the products we make. We use our creations every day. 20. We are able to choose the charities our company supports, to further bicycling access and education.